No doubt, Lulu Mutuli had an interesting 2017. 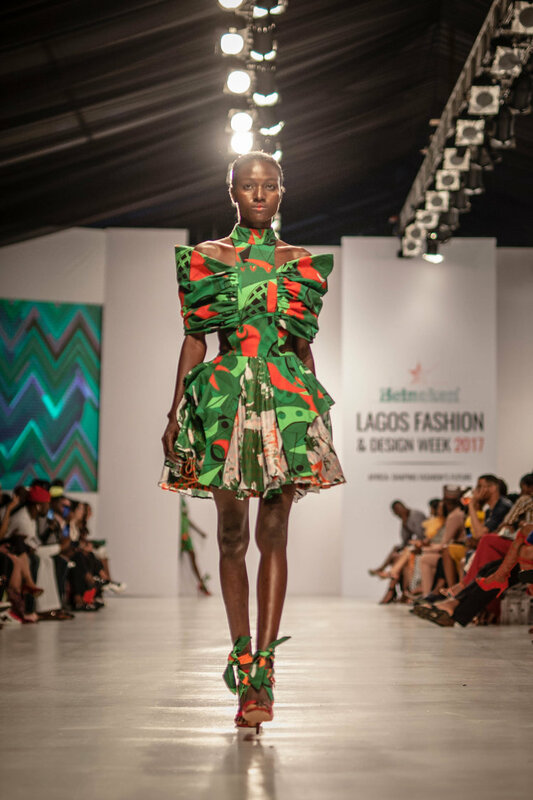 She was one of the first Heineken® African Inspired Fashion Challenge, got to develop their designs at LEW Design House in Amsterdam for a week and had her first fashion showcase; which just happened to be at Lagos Fashion and Design Week (LFDW). 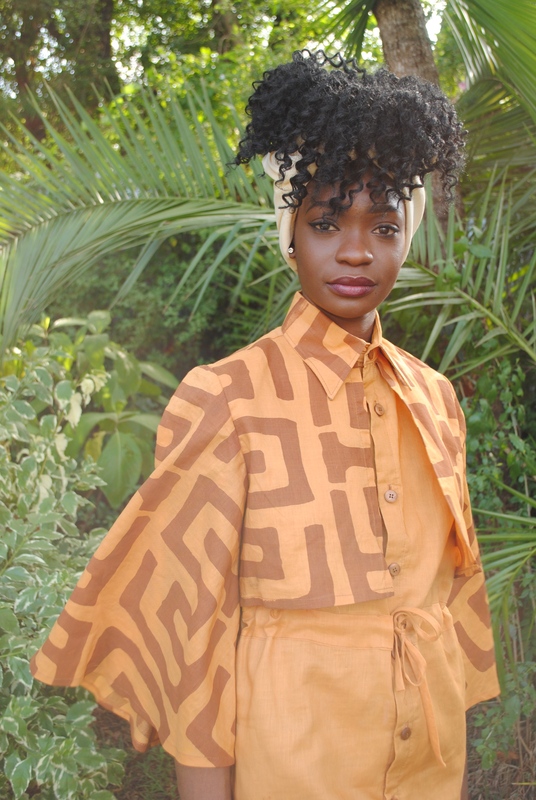 She was also one of the five designers in Young Designers Kenya. 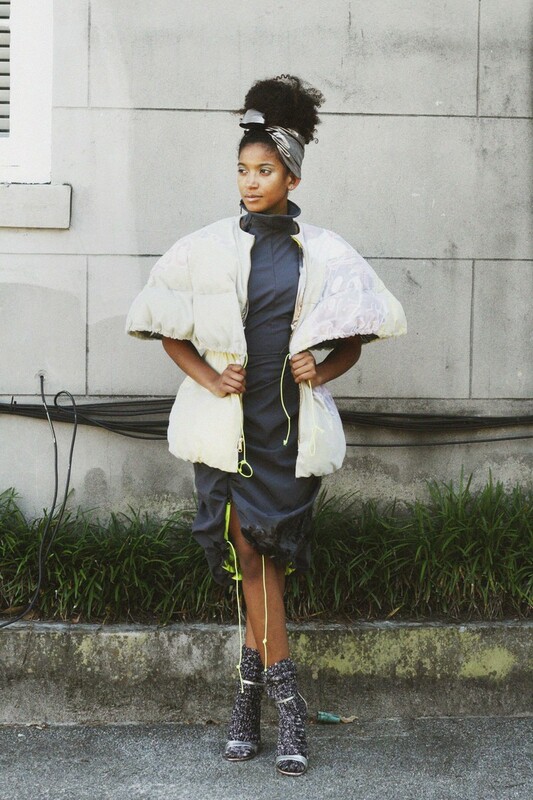 After last year, I’ve since done a course in web development which will eventually circle back into my fashion career. I’ve recently started working at a start-up that deals with UI (User Interface), User Experience, web development and possibly applications. UI is basically what you interact with when using an application or website. It’s the visuals and how it looks. Part of my style and themes that I use in my fashion is related to why I chose Moringa and the web development that I’m doing now. And how would you describe that style? 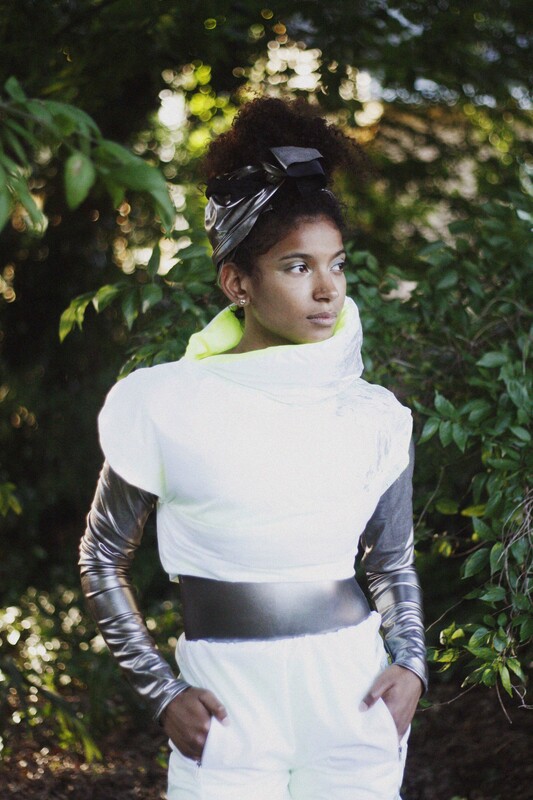 Initially, it was Afro-futuristic. I was inspired by how technology is playing an integral part in Africa and how it’s evolving and developing. Being part of the economic narrative, I think that it can also be part of the creative and visual one that gets exported worldwide. My last two collections were Afronauts and AfroGlitch. 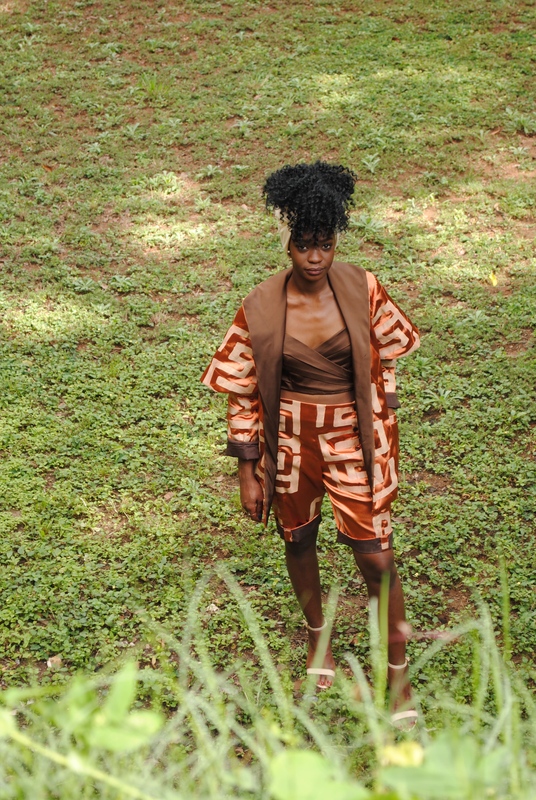 The former was a capsule collection depicting the concept of “Africa going to Space” while the latter was the first collection under the AMILO label. 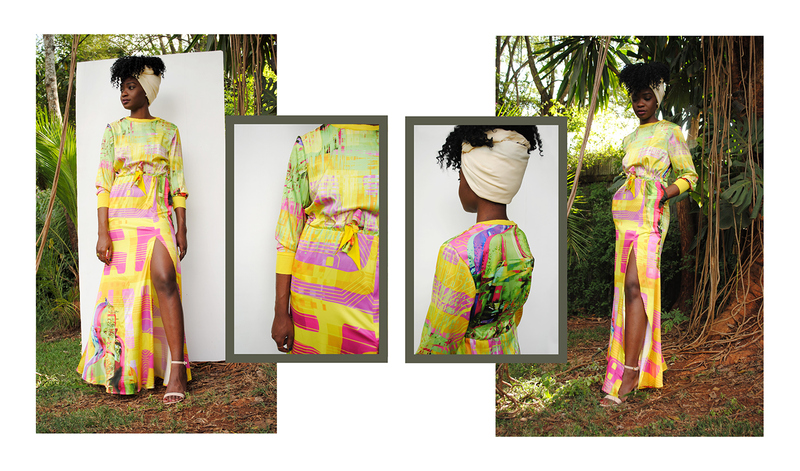 It was a seven-look capsule collection that celebrates the role that technology has taken in Kenya; which was kind of distorting the natural textures and saturated colours of digital print and distorted figure on the print. I wanted to take the thought process a little bit further and see what the technology element had to offer. And in the long term, seeing how to best integrate the two. Are you currently selling clothes under the label or have you taken a break? At the moment, I have taken a break. I think for the first half of this year it’s been quite interesting switching gears in that way. 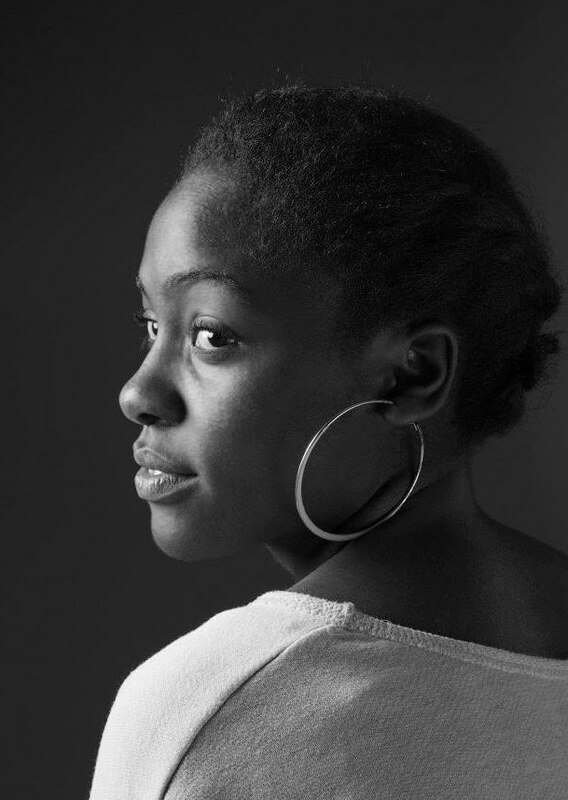 Working with the Heineken project and Diana Opoti made it clear that 90 percent of a fashion brand is business. Coming out of fashion school, a lot of designers don’t realise that fact and that the business element does take time. I think in the next half of this year I could start opening up a bit more and start to actively source fabric. It’s a slow process unfortunately, but I think it’s better to refine my product first. No creative can exist as an island. How would you describe your Heineken experience? 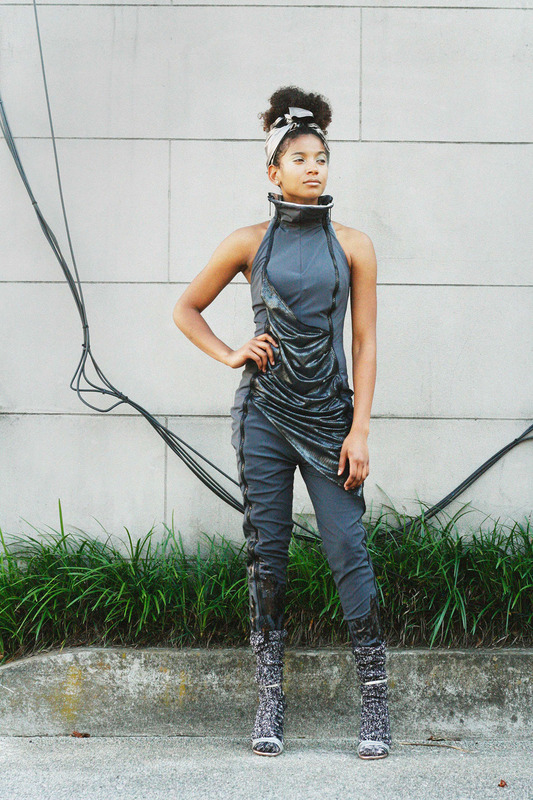 Azra and I had a small time-frame to create the collection and it ended up being a very creative experience. You didn’t have time to question what you’re doing, which I think is most creatives’ downfall. When you’re just doing it, you’re visually crafting what you are thinking about. We worked well together, and it exposed us to a lot of creatives and their skill-sets. It was a reminder that no creative can exist as an island. LEW Design House work with a great team and they’ve built a good rapport with the community around them. It was interesting to learn that this played a big part in their success; seeing how smoothly things can go once you have a well-oiled machine. It’s important to build that for the sake of the bigger picture. 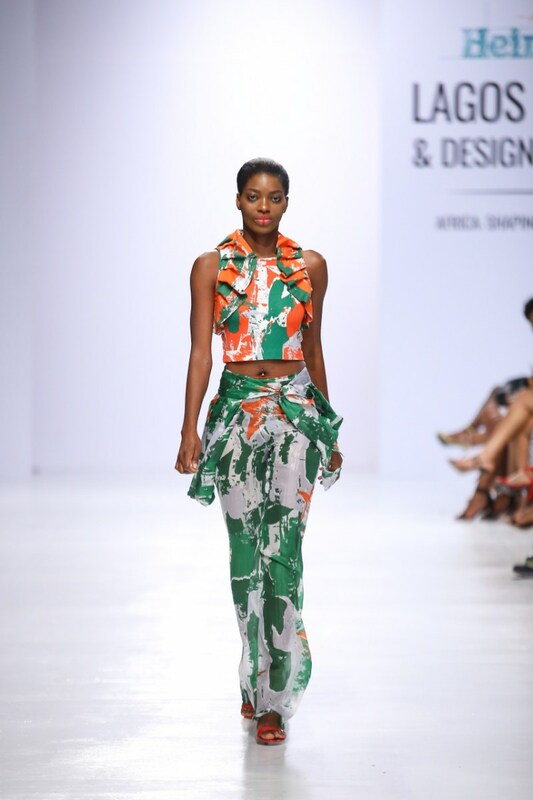 When you took the collection to Lagos for LFDW, were there any lessons you garnered that you’ll incorporate into AMILO? I’ve been able to witness what people are doing, what their products look like, who they’ve been able to connect with, and where they’ve been able to show. All of that takes time, refining and fixing. That it’s worth taking the time and creating a good product, instead of trying to create something for the sake of making it. Nothing is lost in taking my time and coming out when the time is right. So, my goal is to grow my global community but maintain the Kenyan heart to it; especially given that the name is AMILO. What does the name ‘AMILO’ represent? It’s my mum’s nickname. It’s my way of honouring the matriarchy that my family has. A lot of the inspiration comes from my mother and also my grandmother who’s part of mother’s union. I’m very much inspired by the matriarchies around most families. I’ve been hoping to create a collection inspired by the mother’s union but that’s something I think would be a heart based or brand identity project. it involves going back to Kisumu and hanging out with my Grandmother, going to all her meetings and I think that would be a bonding experience for us. I’m really looking forward to it. The young, modern working woman. It’s versatile clothing that supports the woman on the move. She doesn’t have a lot of time to plan her wardrobe but if I just throw anything that AMILO has made into my suitcase I will be sorted. It’s generally to solve a lot of the issues that my friends and family have had. They want workwear but something that can also work at a cocktail or wedding. And the idea here is for customers to shop the way I do. That is, getting complimentary pieces that work well with one another. Thus, every collection should complement the one before it. So that it’s a collectable and there would be limited editions of each one. It’s worth taking the time and creating a good product, instead of trying to create something for the sake of making it. Where does the tech aspect come in? This decision was informed by my time in New York. A lot of the stores I was working in were going out of business because they did not have an online presence. Instead of having a brick and mortar store, people are now building their online presence which makes them easy to reach and creates a seamless shopping experience. However, some focus more on the online presence, without really understanding the fashion elements as well. 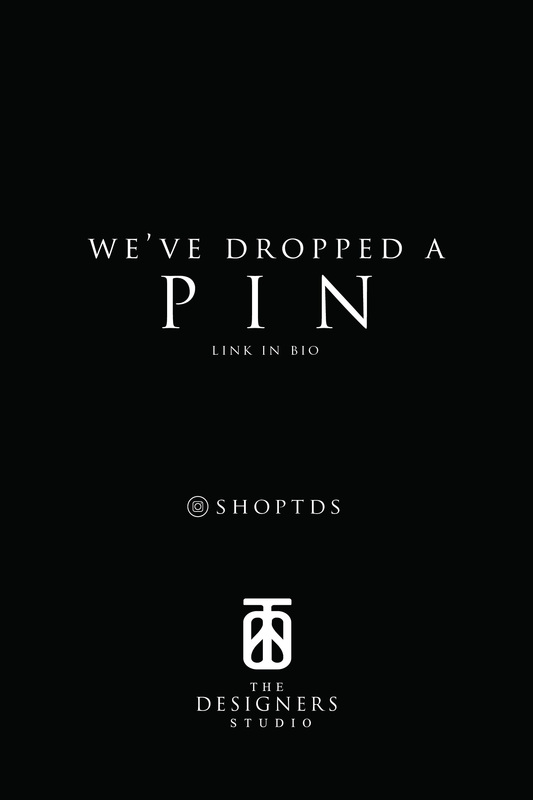 I’ve worked with assisting customers and trying to fit them in the store, as well as, the design aspect. And now I’m working on the actual website and application development. I now believe that I’m better equipped to understand how to make that experience more accessible. AMILO is designed to be easy, accessible, versatile and dynamic. Those attributes are ideal for an online presence as it pertains to people’s lifestyles. It also means that, should I open a brick and mortar store in Kenya, I won’t be restricted to customers that are only in Kenya. What DO you see AMILO being once you’ve started up again and have some years under the label? Hopefully I will be online and have a warehouse. Ill also have a factory where I’ll be shipping things from. I’d like it be international and that would require creating relationships or partnerships with existing online brands. For instance, 2ManySiblings collection with ASOS. It’s those kinds of partnerships that I’m starting to see people are interested in what the African designer has to say. 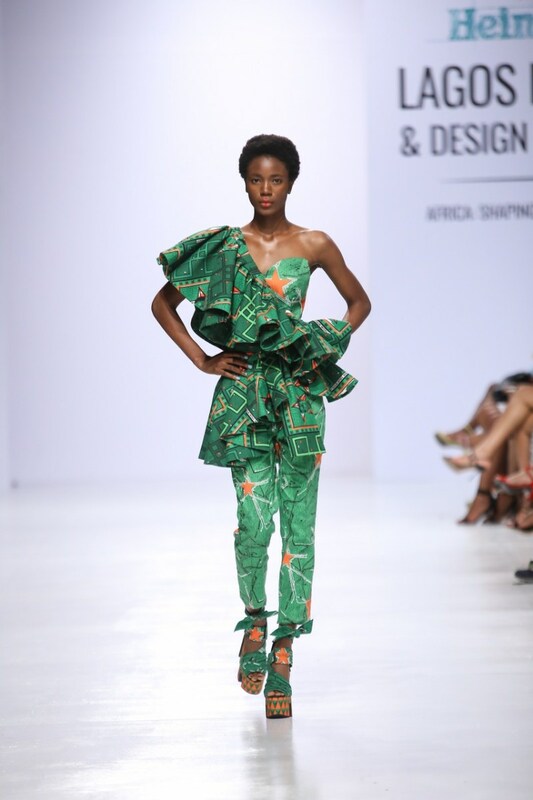 It has given me hope in the sense that there’s an open market that wants to wear African designers. Overall, what would make me happy is to see the brand come to fruition.